Get your baby this printed romper to make him look extremely adorable. With an attractive print all over and front opening, the romper is a perfect blend of style with comfort. 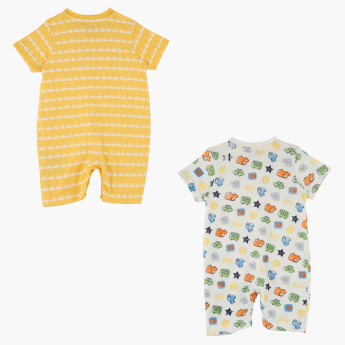 Made from a soft fabric, this set is easy on your little one's skin.